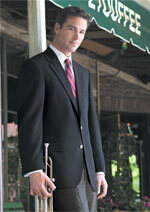 Mens Suit Separates has great year-round styles for polyester mens blazers and matching slacks. You can get classic-styled Regent 2 button model coats and the Harper flat front slack at Mens Suit Separates. You can count on Mens Suit Separates to stock the designer polyester mens blazers and slacks that will fit you. 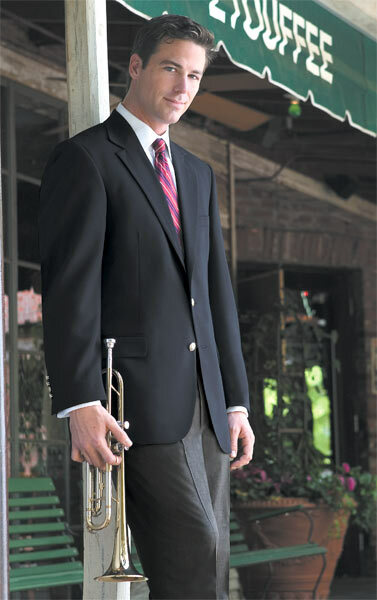 Whether you’re looking for regular sizes or big mens blazers, you can count on Mens Suit Separates to help make you look great. And when you experience the quality and fit of our mens summer blazers and other mens blazers, you’ll want to get a great pair of slacks to match. No problem—Mens Suit Separates stocks Harper pants, so you can put together elegant designer mens suits with ease.